Hotel Bastion is a 4 star boutique hotel in Zadar, located in the historic core of the city, the Hotel was built on the remains of the medieval fortress “Kaštela” from the thirteenth century; an invaluable monument of medieval fortification in Zadar. Cultural monuments of Zadar and the renowned “Sea Organ” and “Greeting to the Sun” are only a few steps away from Hotel Bastion which makes us the ideal destination for business guests as well as for tourists. Hotel Bastion has: conference room, restaurant “Kaštel”, wellness canter “Castello” Hotel Bastion offers 28 luxury equipped rooms, an assortment of gastronomic delicacies, wellness canter and a videoconference room which turns business into pleasure. Hotel Mediteran is a 3 star hotel, located in the surroundings of the 3000 year old historical entail of the city of Zadar very close to the crystal Adriatic Sea. Hotel Meridian is an ideal place for enjoying and relaxing in a perfectly peaceful ambient while indulging in the events and vividness of Zadar. Hotel Meridian has 30 rooms equipped with air conditioning, heating, telephone, TV/SAT, mini bar, LAN and W-LAN internet access, all result of carefully combining elegance and comfort with the convenience of modern technology. 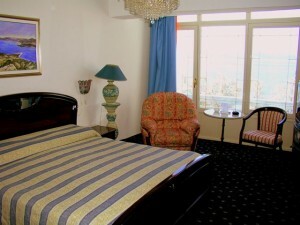 Hotel offers 8 comfort rooms and 22 standard ones with possibility of an additional bed. The 4 star Hotel Kolovare is situated near to the historical sights of ancient Zadar, in a peaceful and picturesque part of the city. The hotel has 191 rooms, twin bedrooms, king-size bedrooms and 12 apartments all equipped with air condition, balconies, and bathroom with hair dryer, mini-bar, satellite TV, internet connection and a safe. There is also a restaurant a´la carte with 270 seats, winery, a bar, hair salon, massage parlour, congress hall, rent-a-car, an outdoor swimming pool for children and adults and a sports-recreation centre with tennis courts, volleyball court and miniature golf court. There is a beach near the hotel. Hotel Villa Nico is a smaller private hotel, situated in the peaceful part of Zadar called Diklo, near the cost, only 3 km from the centre of town. For those who like to walk by the sea it will be a great challenge. 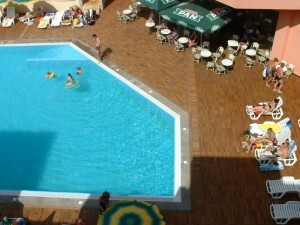 Hotel Villa Nico disposes with 25 rooms and 1 apartment. All rooms have modern design, they are in different colours, and you will have an actual feeling of staying in a real Villa. The morning waking with the view at the sea, is the beginning of a day that many people dream of. The rooms are equipped with TV-sat, internet, telephone, mini bar, mini vaults and air-conditioning through whole hotel, on winter, of course central heating. Hotel Donat in Zadar is a Resort which combines 3 or 4 star accommodation, the resort is located in the Borik resort complex, 3,5 km from the historical city center of Zadar. The Hotel has direct access to the beach, surrounded by fragrant pine trees, direct beach access, 240 rooms ideal for group travel to Zadar, all with shower/bathroom, direct dial telephone, air-conditioning, heating, satellite TV, partially with balcony and sea view. Hotel Donat offers all inclusive service, outdoor pool, conference facilities, free parking for hotel guests. In front of the hotel a beautiful sand and pebble beach stretches 1,7 km. Falkensteiner Adriana in Zadar invites you to enjoy a fantastic holiday directly on the sea in the picturesque Dalmatian harbour town of Zadar. This hotel is one of the most elegant boutique beach hotels in Zadar offers good service, excellent cuisine and an impressive wine list, along with plenty of sun, beaches and the sea. This hotel provides the perfect atmosphere for you to completely unwind in our spacious rooms. 48 Junior Suites with stylish, modern design and spacious balconies offer plenty of space for you to luxuriate. Villa Hresc Zadar is situated right on the coast in one of the best locations in town, Hresc offers its guests an unforgettable view of the peninsula with its old town center. Villa Hrešć is a modern, luxuriously furnished and air-conditioned apart hotel. It is situated in Maestral, a beautiful bay where the city of Zadar is situated. It is an old villa which has been renovated and is now the property of Hrešć family. Its present design blends a Mediterranean atmosphere, an individual approach to every guest and a stylish interior equipped with all mod cons. Falkensteiner Club Funimation Borik was awarded with the Tourist Flower award in 2010, for the best category 4 star hotels on the Adriatic, at the annual Days of Croatian Tourism held by the Croatian Chamber of Commerce. This amazing hotel is the new secret formula for a family holiday in Croatia, the like of which you’ve never experienced before. Just as the name suggests, there’s a club atmosphere here and it’s right by the sea, close to picturesque Zadar. A crazy entertainment programme with lots of different activities awaits you and your family. Hotel Porto is located at the very entrance into the city of Zadar. A direct bus line connects the hotel to the city centre, bus and railway stations, while nearby exits to the motorway and highway allow an easy access to Dalmatia Marine in Sukošan, small tourist resorts south of Zadar, beaches and excursion sites. The hotel’s capacity is 103 rooms: single, double, triple rooms, and apartments, which add up to 103 units equipped with central heating, air-conditioning, satellite TV and telephone for internal and external use. Some rooms have access to fast internet and mini bars. Besides full and half board, hotel offers buffet breakfast. The Falkensteiner Family Hotel Diadora received the Holiday Check Award 2011, based on the results of over 400,000 hotel reviews, it was voted the most popular hotel in the country. Hotel Diadora is specially geared towards the needs of families and offers a high-quality combination of good cuisine, a wide array of sports and activities, and top entertainment. To make sure that everything works out perfectly, this hotel has childcare services that are varied and specially designed to meet the needs of various age groups. For more active guests there is an Indoor Outdoor pool area and Cardio Fitness with Gym. Hotel Venera is situated on the excellent location in the center of the old town in Zadar, which makes the hotel and excellent choise both for buisness and plesure. Hotel Venera offers comfortable rooms in a quiet alley, away from the noise of the city. It is surrounded by many restaurants, bars and cafes. Many attractions such as the Sea Organ, as well as museums and the beautiful waterfront of Zadar, are just a few steps away from Hotel Venera. Hotel Venera has 12 rooms. Villa Lisica beautiful seafront apartments & restaurant in Petrcane, near Zadar, Croatia is located on the seafront, in a beautiful bay, nestled between the village of Petrcane & Punta Skala. Alongside the crystal clear waters of the shimmering Adriatic Sea you will love your stay in this relaxed setting and feel quite spoilt by the great service that Villa Lisica has become famous for. Close enough to stroll to The Garden, Petrcane where a variety of music events take place yet just far enough away to feel calm and away from it all, we feel it provides the perfect balance for most holiday-makers. Hotel Marinko is an attractive villa-style Hotel in the tourist complex Borik, where it is located only 200 meters from the picturesque Zadar beach and 100 meters from the marina. The highlight of Hotel Marinko is the restaurant, where you can taste freshly prepared, typical Dalmatian dishes including fish, sea food, meat and pasta, accompanied by a wide selection of first-class wines. Hotel Marinko has 21 rooms with Internet via modem which is available in the hotel rooms and is free of charge. All children under 8 years stay free of charge when using existing bedding. The 4 star Hotel Pinija is situated in Petrcane, only 12 km from Zadar, the hotel offer 300 comfortable rooms, 7 hotel suites and 6 rooms for disabled persons. All guests can choose from vegetarian to international cuisine and all the way to most popular domestic Dalmatian cuisine. Along with the tasty food and quality wine, you can enjoy a true family atmosphere. Acknowledge your need for touch and relax in the experienced hands of therapists from the Pinija Beauty Centre you will find massage as one of the oldest forms of therapeutic healing. Various types of massages have been applied for thousands of years and the physiological effects of massages on the human organism have been scientifically researched.